The elektraDRIVE Motor Drive options are available for the Philip Bloom Signature Series Pocket Dolly™. Visit the elektraDRIVE page for options. Click here for promo videos, photos and more info. 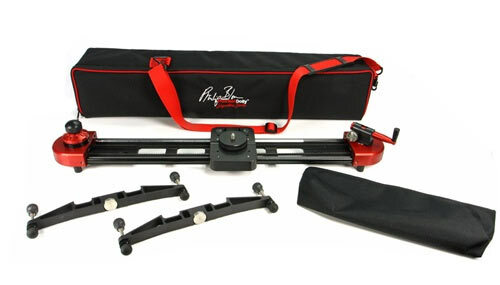 The Philip Bloom Signature Series Pocket Dolly™ is available in two lengths, the standard 3′ version and the shorter 2′ Traveler size. The Philip Bloom Signature Series Pocket Dolly™ comes as a kit with the following items.